Here it is: my TEDx talk — an agnostic Jew exploring the Quran — given at Seattle’s Benaroya Hall on 10/10/10. I think I’m saying some important things here that need to be much more widely known, especially at this point in time. So if you like this talk, as the live audience clearly did — there was much more laughter than I’d expected, which is why I only just made the TEDx nine-minute limit, and the standing ovation kind of took me by (grateful) surprise — please don’t hesitate to forward it to all who you think will be, might be, or simply should be interested. And yes indeed, I would love to hear your comments, whichever way they trend! January 4, 2011: Many thanks to translator Amineh Ayyad for her work on the Arabic subtitles of this talk. The video is now also up on TED.com, where translations into more languages will soon be available. For a transcript in English, click here. Enjoyed to the nines and shared on my facebook and twitter pages. Now to share with the local mavens. What a fab standing ovation. Well deserved, I might add. what a great talk. loved it together with all the audience. A wonderful talk – it should be required viewing for all journalists!! As a Muslim, I was so glad to hear you speak like this about the Qur’aan. It is so often maligned or misinterpreted, even by some Muslims. I appreciate the sincerity, respect and humor in your approach. Thank you. to you and your efforts i bow in respect…. i am eagerly waiting for the prophets biography and would love to help with however possible….. I loved the way you approached such a controversial topic… beautifully said and very eloquent. I can’t seem to get enough of this video, I keep watching over and over. What an outstanding woman. I really enjoyed this talk. Thank you! I enjoyed your talk. My fellow Muslima’s and I have been emailing it out to each other and to non-Muslim friends. I appreciate how accessible you made this topic and also the respect with which you treated our Quran. Thanks! This is so awesome. I really appreciate the time and commitment you showed in order to better understand something that is so often misunderstood. Such eloquence & intellect … The beauty of her spirit shines as she masterfully articulates the essence of the Holy Quran. MasyaAllah. I have no respect for a JEW who does not even believer her own religion turning around and lecturing me on the Koran. Who the hell are you to pass judgment? everyone’s given a mind of their own to research and accept what they believe. Thanks for such a comprehensive conclusive reply, but will he understand though. that I doubt, the guy is full of hate. Allah is the ally of those who believe. He brings them out from darknesses into the light. And those who disbelieve – their allies are Taghut. They take them out of the light into darknesses. Those are the companions of the Fire; they will abide eternally therein. 2:257 says that disbelievers will go to hell. How’s that for tolerance? @ Howard Thomas. You are reading this passage wrong. It does not preach intolerance. Allah is saying there will be punishment for these people, not that we should punish them. she just express what she read and understood from the Koran. instead of showing disrespect go and do the same thing and educate your self like her. Oh, and of course you are censoring comments…I was suspicious when the all seem to be gushing your praises. I suspect some of them are faked. Just to thank you for your amazing speech about the Quran, you have restored my faith in humanity, it’s a shame that there are not many people like you! Still I believe that despite people like our “friend” Raul, there are plenty of muslim, christians, jews, buddhist, agnostics, etc with good will, heart and intentions who are prepared to get together and do a lot of good work. I can assure you, Raul, that *my* comment was certainly not faked. When comments are faked (and I admit that that *can* happen, on other people’s blogs), it is made obvious by the repetitive use of language, etc. in the posts. If you read through the comments, they are obviously written by people who use language in different ways. Just becasue most of them agree that the video was great, doesn’t mean they are faked! The comments aren’t ‘gushing’ – they are praising Lesley for saying and doing something which sorely needs to be done in today’s world – explaining what the Koran actually contains. I find your comments about her and what she is doing offensive. Raul what is wrong with you.! just because the contents does not suit you, hell must break loose.!! if you don’t like what you see, just leave. if you have something constructive to share, then let us have it. As a christian living in Egypt (most of the time) – married to a muslim – I have only one ‘complaint’ – the talk was much much to short. Thank you. An egyptian who has just visited Egypt, I was extreemly hurt to see how egypt has gotten and how people have been treating religion as if it was just another textbook from the egyptian ministry of education–something to be memorized not understood–so I thanked God for letting me be a muslim in the west. Inshallah if I go back it’ll be to do something for the people. Anyways, it really upsets me to see conflicts between christians and muslims in egypt. Because I went to a christian school and so did my mom, so most of our friends are christian & I allways admired Egyptians for their lack of racism. I hope that hasn’t changed as much as I think it has. 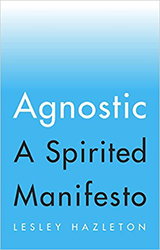 Are you still an agnostic? But of course. I value the view from my agnostic perch. And I believe in inquiry rather than in belief itself. I am an agnostic with a Muslim background. I have passed this video on to many of my friends. Only wish it could have been longer. Like you I am fascinated by faith, but believe in inquiry. Something that I found amazing about the Qur’an (when recited in Arabic), is that each surah has its own “feel” and “mood”. Some are upbeat, some are sad, some are ethereal and heavenly, and you kept help but catching on to the feeling. Every surah has a theme too, a fundamental msg. It also takes the batton from the sura b4 it and hands it to the folowing sura so its as if yr moving thru shades of a color from very deep to light or the opposite smoothly. If u have a scientists mind u will be amazed at what u find. “And whoever invokes with God another god– he has no proof of this– his reckoning is only with his Lord; surely the unbelievers shall not be successful. ” the idea of proof and its respect to me is utterlingly amazing. I love how you said “fundamentally inflexible”, that is so true. You see that everywhere, in all walks of life. I too wished the talk was longer. fundamentally inflexible… Religion to a tee!! This is resultant from the unquestionable doctrine in the text – not exclusively by the reader itself. And, if one doesn’t cherry pick – after reading such an outdated appauling guideline to life – you’ll hope your fundamentally good human nature is inflexible enough to discount what you’ve read and you dont pick up a stone to murder your dishonorable sister. You’d better hope you needn’t leave things up to interpretation when such inhumane and incontestable ‘truths’ are dictated to you. Free, rational inquiry and empowerment of woman will fix these issues. Stoning is no where to bre found in the Quran. It is a Bilblical puinshment. Reference to stoning in the Sunna mainly follows on the Jewish stoning rules of the Torah. What you guys didn’t see is that this clip contains a hidden agenda … this is how propaganda works… it propagates softer image of Jews … it tells us that Jews are good and they are flexible but we are not …. we do not even follow our religious book ….. they accept other religions … and accept their holy books … but we are hardliners who have moulded their religion and who doesn’t even know their religion … A non Muslim gets this impression from the talk … and the beauty is that the Muslims also appreciate what she says …. I really hope I am misunderstanding your second comment. I think i’ll stick to the first ine, it’s far more becoming of a Muslim to have “husnu-thzan” (a good opinion/ free of suspicion re others motives). It seems you have made a great effort in approaching the Quraan , an effort that is really appreciated from both non-muslims and muslims. I really hope other people , politicians, actors, media professionals could approach the Quraan the way you did maam. I do wish you all the best, and please don’t take into account this unfair comment by Raul , as it is obvously doesn’t represent how we , as muslims and non-muslims percieve your speech. A great effort, a great speech , a great work , I do respect u and hope to gain experience from watching your videos . May ALLAAH guid u to the right path maam , and grant you the best . And I, as a Muslim, am deeply humbled by what I can only describe as a gentle, and infinitely wise understanding of the Qur’an. I would love to meet you in person one day, oh how I wish..
That sounds like a misleading advertisement. You talk about gardens watered by running streams, but you don’t talk about those who get boiling liquid poured on their heads (plus torture, hell-fire, and all the rest of it). The latter treatment is what the book warns, ad nauseam, will happen to those who refuse to accept Allah and his prophet. No discussion of the Quran is complete without the downside; hellfire, and who gets assigned to it, and for what reasons. That’s okay if you’re not buying, since I’m neither advertising nor selling. Not literally, perhaps. Are you not attempting to _persuade_ the audience that the Quran is, among other things, not as bad as some have suggested? Why not simply do an accurate and _balanced_ presentation of what the Quran contains, and let the audience decide? I don’t fear being sent there myself of course; I am an atheist. First of all, it concerns me that large numbers of Muslims (and Christians; Islam and Christianity are the two main religions that I’m aware of that have the hellfire penalty) even today actually accept the notion that it is good and right to destroy/burn the souls of people for mere disbelief, and that disbelief itself is a kind of sin-crime, making disbelievers sinners/criminals. That in itself is disturbing. However, my main worry or concern here is that this belief is taken seriously and literally by some, and this has real social consequences. For one, the hellfire penalty demonizes the non-believers, which has indirect social consequences. In terms of direct social consequences, it is a consideration factored into the making of real policies and laws such as those regulating public expressions. If one believes, truly and seriously believes, that disbelief is the worst crime and is punished by the destruction, torture, and loss of the soul in the afterlife, then one might be inclined to want to control what people do and say in this life, so as not to jeopardize the security of the souls of the believers. This type of logic was used by the early Christian theologians (see Levy’s book Treason Against God) and then, apparently, also used later by Islamic scholars. (I’m not aware if there was a direct borrowing there). Public expressions that might encourage apostasy, heresy, or further blasphemic expressions were thus deemed to endanger the souls of the believers, leading them toward disbelief and the forfeit of their reward of an eternal life in the hereafter and leading to the torture and destruction and loss of their souls in hell. If one believes in eternal life after physical death, then loss of worldly life is not the worst thing that can happen to oneself; rather it is the loss of the eternal life in the hereafter that is more important. These considerations played a role in the formation of laws against blasphemy and apostasy in both Christianity and Islam. (The Quran of course does not contain clear, direct, and explicit prescriptions for worldly penalties for mere blasphemy and mere apostasy; these penalties appeared later in the Hadith). From another angle, one who takes the hellfire belief literally and seriously could view the imposition of such laws restricting expressions and conversions as a way of helping to “save the souls” of the unbelievers, and paving the way for unimpeded proselytizing of the favoured religion, including in the context of holy wars and jihads to spread the faith. If one seriously believes that one is saving the souls of people by bringing them into the religion or at least exposing them to it and bringing them under the rule of it, that too could be a strong motivating factor in enabling such conflicts and imperialist adventures. It is not only promises of paradise that might in part motivate some self-styled jihadists and holy warriors, but also fear of hell-fire for failing to fulfill what one interprets to be one’s obligations to use physical force to spread or defend the faith. Ah, now you are arguing really seriously and extremely well. Thank you. And you have taken the discussion into the intensely interesting and volatile realm of what happens when religion and politics fuse — specifically, in ‘fundamentalism’ (for lack of a better word — I object to it since it seems to imply that radical fundamentalists have grasped something fundamental about their respective religions, where I think they have entirely missed the essence of faith, and are, in a very real sense, anti-religious — an argument I will make on the blog when it gels in my mind). In fact the Quran very specifically forbids physical force to spread the faith, and does so in many places. But as some commenters have noted over on the YouTube comments thread (http://www.youtube.com/watch?v=O7yaDlZfqrc, but now alas, as such threads do at a certain point, going off in weird directions), later hadith may, in essence, be being given more weight than the original message. ‘Islamic Jurisprudence ( an International Perspective)’ by Christopher Weeramantry, former Vice president of International court of Justice. ‘not buying’ made a very good point about the glaring absence in your speech of the almost overwhelming theme of Allah’s curse to non-believers (who may question Allah as the One god and Mohamed being his messenger), yet you answered with a glib non-answer. This is a shame. Anyone who reads the Quran knows that the main message, because it is so repetitious, is that it is not in one’s interest to disagree with Mohamed’s assertions (even if those assertions are easily arguable nothing more than fanciful). ‘Not Buying’ – have you ever *read* the Quran (in translation)? Most people who come out with the kind of views that you seem to have are those who haven’t even read it. By the way, The Torah and the New Testament aren’t all sweetness and light, either. Are you suggesting that they are? Yes, I have read the Quran. Initially I read the whole thing, and subsequently I’ve come back many times and have read some sections of it more closely with specific questions in mind. Some sections that deal with social, political, and military policies I’ve read many times. In addition, I’ve studied it in some detail over the past five years, though in my spare time. I’ve studied mainstream classical Muslim tafsirs on it, have read the asbab al-nuzul for some verses, have read the Sira (by Ishaq), and have read extensively from the Hadith. I’ve examined research on what various present-day Muslims believe about the Quran. I’ve read apologetics and criticism of it. I’ve had discussions with dozens of Muslims over the years about the Quran. I’m not sure what you mean by “the views I seem to have.” I do object strongly to the idea of punishing people who simply don’t accept a religion. The Quran asserts that disbelief in Allah and Muhammad is the worst thing a person can do. It goes on and on, in literally hundreds of verses, about how the disbelievers will be punished and tortured in hellfire. I’m definitely not suggesting the Torah and New Testament are all sweetness and light, nor did I mention anything about them. FYI, I object to the hellfire and final judgment penalties mentioned in the NT (for example), and I object to the harsh and unjust penalties prescribed in the Torah (for example). But the topic here is the Quran. This thread as I see it is not primarily about my views or your views, but it is more about commenting on Lesley Hazleton’s views and on the Quran. I’m interested in her response. As for punishment in an afterlife, if you don’t believe in hell (of which there is quite enough on earth), why worry about hellfire? @not buying actually there’s more than one interpretation for the verses about hell and afterlife punishment, one of them is what you are saying, another one which i believe is, disbelievers are not those who are not muslim, but those who see the truth about islam and then reject it, disbelievers which is a translation for KAFER which means in arabic those who cover, in our case those who cover the truth they find and don’t embrace it or simply reject it. and surely there’s no one can claim that this person in particular will be in hell. and after all that god is the most merciful, do you think he will punish someone because he never heard or heard not the truth about islam?,,or his (not-bias) mislead him? Sir I am very impressed by your readings of various facets/sources of islam to understand its current form/state. The concept of hell and heaven is more allegorical then literal. it is the state of mind which is tormented by guilt, shame by not accepting universal principles of humanity i.e justice,equality and opportunities to nurture best of human potentials. So actually it is resisting these core unaltered universal values which will prohibit further nourishment of human soul/personality to ascend to higher level of satisfied,content afterlife in whatever form. I would suggest you consult these websites i.e ourbeacon.com and tolueislam.com for a different Quranic perspective of these concepts. Hadiths written 3 centuries after prophet portray this literal interpretation of hell and heaven which is more in sync with bible then Quran (Ironic it sounds though) but that’s how it is. Yes u r right. the words God uses in the quran for those who will suffer hell, whatever that may be, are serious. Like tyrrants or unjustful or kaffer ( the translation of which is not dibelievers rather those who see truth yet choose to turn away and cover it up). another thing, just assume for a second that God exists and he is one and that he did send prophets to humans the last of whom is Mohamed, woul’dnt it be a grave offence on God that u deny his presence or add gods of yr own of which u have no proof. If God is existent and he is one , which i believe he is, then unfortunately for some, he puts the rules and u have to play his game.If he considers denying his presence or adding gods to him a grave crime, then there isn’t much to do is there? You have made some very legitimate points — except, perhaps, suggesting that Lesley is under any obligation to show the other side. She is not. She explained one aspect, another can explain another. She saw paradise about her, and related to that. If one has an idea of what hell may be, they can share that. I want to validate your views, especially the explanation you have given further down the thread. Indeed, the attempt to ‘save souls’ is what is driving what Lesley terms as un-fundamental behavior. Lesley is correct: the attempt to override another human’s choice or destiny is EXACTLY what this is NOT about. That point is long-forgotten amongst the correct-the-world communities. If one steps far back enough and observes, they may also see that those who are going about attempting to correct the world are terrified of living in a world which they consider to be a world in decline, ruin — a world that has become hell. Perhaps they are trying to salvage *their* souls. In sum, it will be useful to attempt to understand what ‘hell’ could possibly mean. If paradise is literally a state that can be observed — what is hell? My own understanding has come to be that one needs to understand the fundamentals wherein lie ample clues leading to (greater) truth. One of these fundamental (belief)s is that the Qur’an is a direct address from Allah to the reader. Which brings us to the reader, and their faculty of listening, and the world of words, meanings, language. Perhaps henceforth we can take a dive into the inner world (in a literal sense!) and understand how listening functions within a human — and who is listening? And observing? Inspired by another TED Talk, “A stroke of insight” by Jill Bolte Taylor, and my own in-the-body experience, I have come to believe that there is a faculty within the human body — which is the essential human themselves — which can observe our world from within to without. This faculty can both know, and know that it knows. What is deemed hell and heaven, in my understanding, is this faculty’s experience of the aftermath of certain actions and beliefs… and their affect upon the body and the totality of the experience. In other words, the matter may be as simple as experiencing the bio-chemistry of our being from within. How does pain feel like? How does anger feel like? Jealousy? Dismay? What is it to be a sick mind or body? How do we experience it from within — and I don’t mean simply in a cognitive sense but as a very real experience. What does it feel like when one’s very own cells mutate to cancer? What kind of information is then exchanged within the body? I think the answers to our ancient riddles may be surprising simple — and earthly. Thanks for your interesting comments (12:01 and 12:10). On the issue of what a writer/speaker ought to discuss in this context, our discussion may be “academic” at this point because Lesley did address hellfire in her responses in this thread and in a subsequent article related to it (December 21). But, in response to your comment, I would note, in justifying my initial objection, that I understood that Lesley’s discussion was not only about paradise. It included mention of other topics and comments on the Quran’s contents (e.g., references to Biblical stories, translation and interpretation issues, mention of environmental issues, the fact that it addresses women and not just men, the similarity between Biblical Yahweh and Allah, and the restrictions on killing of unbelievers). In the above written intro, Lesley initially referred to her talk on “what’s really in the Quran,” and, again, in that talk, paradise is not the only topic of discussion, even if it is the major one. Yet even if the talk was intended to _only_ discuss paradise–which I agree would be a legitimate choice–I would still argue that hellfire should be mentioned for at least two reasons I can think of at the moment. First, Paradise is not conceived in isolation in the Quran but is presented as part of a conditional proposition (or ultimatum), addressed to “all humankind,” whereby if you believe in and obey Allah and Muhammad as prescribed you will be rewarded with Paradise in the hereafter, but if you don’t believe in or obey Allah and Muhammad, you will not be rewarded with Paradise but instead will be punished in hellfire. Paradise is the carrot in a carrot-versus-stick proposition. Second, the contents of Paradise as described in the Quran do include reference to hellfire, e.g., the believers will be relaxing in Paradise and will look down and laugh at the disbelievers who are being tortured in hellfire. Part of Paradise, according to the Quran, includes the experience of a kind of schadenfreude, pleasure at the misfortune of the disbelievers in hellfire. Regarding your other comments on the psychology of paradise and hell, if I understand you correctly, I tend to agree. I would add that I do think the author(s) of the Quran attempted to exploit peoples’ psychological tendencies with respect to (a) seeking pleasure and avoiding pain, and (b) belief in an afterlife and judgment day. Unjust rulers themselves could also make use of these beliefs in order to justify their worldly policies. “not buying” what she is attmepting to do is clear, dispell the idea that the Quran teaches intolerance and violence when infact mercy, forgiveness, and doing good to others is the main theme of the religion. Fighting against evil has its place. Secondly, that paradise is not a place of vulgar pleasures, but rather a place of true beauty. The discussion of who gets punishment and reward need not be included and is infact entirely irrelevant. In any case, a reality or a beleif system which implies that the corrupt, who often enjoy life, while the good, who often suffer and sacrifice, all end up in the same place, in the dust, concerns me. The beleif that all the injustice in the world will go unrecompensed, concerns me. So to each his own. The Qur’an says not a single word is uttered except that it is written…makes much more sense to me anyhow. Heavan and Hell are perfectly logical. As a muslim, who goes where is something that I beleive is grossly misunderstood. Simply delightful. Great work!!! I just pray that Muslims would eventually come to the same perspective and understanding of the Quran. God Bless!! I’ve seen your video over at LoonWatch and am highly impressed. Most people from other religious backgrounds (and sadly, many Muslims as well) have by far not put in this much effort in actually grasping the Qur’an with all its nuances and contexts. I sincerely ask you to keep on educating people. This is what she has told us that she has put in this much effort … to increase her authenticity …. do u believe in it … her actual objective is different … its a propaganda … What you guys didn’t see is that this clip contains a hidden agenda … this is how propaganda works… it propagates softer image of Jews … it tells us that Jews are good and they are flexible but we are not …. we do not even follow our religious book ….. they accept other religions … and accept their holy books … but we are hardliners who have moulded their religion and who doesn’t even know their religion … A non Muslim gets this impression from the talk … and the beauty is that the Muslims also appreciate what she says …. I’m sorry, did science make the giant leap and develop a mind/heart reading device? Or do you possess some sort of divine power? Who are you to claim that someone has bad intentions? I see propaganda has developed nowadays, propaganda makes propaganda by calling truth propaganda. I think you should be wasting your time educating people on how to not abuse their own religion rather than making a psychological analysis of a woman who has said nothing wrong, irrational or hateful. & please don’t start with the whole Jews have evil plans of ruling the world thing. It’s that sort of mentality that brings all muslims back & prevents any peace from happening. Brother i mean no offense when i say you seem paranoid. This talk only made people come together and have a constructive debate. Seriously, are you for real? If you are then I pity you for the single-mindedness that afflicts you and blinds you from seeing beauty and humanity in others who don’t fit your narrow worldview. Please go away. You don’t speak for Muslims and you never will. You’re but a human that God created and you have NO RIGHT to judge what is in the hearts and minds of others. Leave that up to God and stop insulting people’s intelligence. Shame on you. You’re an idiot, a caricature of the Jew-obsessed Muslim that is so prevalent. I think that Ms Hazleton gave a very good talk indeed and represented my religion very well. You, on the other hand…. Filled with glee and an intense sense of justice. I liked your speech and the way you interpret Quran. Quran has a lot to do with the metaphors. As you mentioned it is well understood only if studied in Arabic. Unfortunately, many translators did not catch the actual meanings of some of the words God has used. It is not that they are not understandable. But comprehensive knowledge of the translator about Arabic language and Quran is usually missing. Misinterpretations also exist among Muslims. As someone who has researched a little bit about this holy book, I suggest the books by Mullasadra (the Persian scholar who lived about 400 years ago) in Arabic, and the books by Mohammad-javad Gharavi (contemporary Persian scholar) written both in Arabic and Persian. They are unique in explaining the metaphoric meanings of verses in a systematic manner. I am eager to see more of this kind of talk from you. Good luck. I wish there is a medium through which we can enjoy a longer version of your presentation. It is superb to see the Quran interpretation through the eyes of a non Muslim and refreshing at the same time. thank you for a great talk. Thank you so much for your wonderful analysis. I strongly suspect that you have put more time and effort into understanding the Qur’an than many (if not most!) Muslims, myself included. Blind faith is never a good thing. You have managed to capture the innate peacefulness that represents the true Islam. The tolerance, love, acceptance, and “humanity” we all so desperately seek in ourselves and others. I thought “Not Buying”‘s comment about the punishment mentioned in the Quran is legitimate. For those who believe in the existence of God, in life after death, and in accountability for their actions in this world, paradise and hell are the reward and punishment mechanisms to transform human life in this world into a peaceful one contemplative of the Divine. But capitalist focus on the “smell of profit in the morning” and economic efficiency has made life on earth a hell. For some, the inner tradition (in Islam it is Tasawwuf or legitimate Sufism, not the pseudo one) is the way to “experience” the Divine through the “beatific vision” of God. A polished and refined “heart” is the window to that “beatific vision” and is considered to be a gift from God. The training methodology of the real Sufis is an arduous and long process, requiring a real and legitimate Sufi master. A few reading recommendations: ‘The Essence of Sufism’ by John Baldock; ‘Emerald Hills of the Heart’ by Fethullah Gulen; Martin Lings’ books; ‘The Message of the Quran’ by Mohammed Asad; ‘The Meaning of the Holy Quran’ by Abdullah Yusuf Ali. If one can even remotely express the beauty of Quranic language in another language, I think this work reasonably succeeded (I understand many will disagree). May God bless us all and bring peace to all of us. From the perspective of an agnostic Catholic you have truly reflected my beliefs of the Muslim faith, even though I have yet to read the Koran (much less the Arabic version). I believe Islam to be a peaceful and subservient way of life, much like every other religion. I believe that only when one has understood the religious beliefs of many can one put together a picture of who God really is. He does not support the acts of those who would use His name to afflict suffering and He is forgiving of those who stray from ‘the path’ during their mortal lives. It becomes difficult ground when we address the differentiating ideas of hellfire being imposed upon those who do not accept the ‘the path’, but I believe it is important we do not cause undue suffering in correcting people in their ways, and that we not put too much weight behind the idea that only one way is right. There are many paths that lead to the same destination, and debating or ostracizing people over semantics is definitely not part of any of them. One is only ever truly a sinner by deliberately causing harm and suffering unto people’s lives (unless they are preventing equivalent harm from befalling others), even when they justify their actions by saying that they are saving the eternal souls of others. Only God is capable of making such decisions as most religious texts agree. It’s sad that the crux of all of our prophets’ ideas have been washed away by the differences in their accounts, and that people can be persecuted for not following exactly the interpretations of the Divine by a mortal. I read the prologue and first page of the first chapter of your book After the Prophet Muhammad (Salah ho Alaih wa alayheewasalam) . Ive decided not to recommend your book to any one interested in knowing about Prophet Muhammad (Salah ho Alaih wa alayheewasalam). I am afraid that serious false facts about the Prophets(Salah ho Alaih wa alayheewasalam) death have been quoted with out credible reference. The information in the first pages alone, is very wrong. Sad thing is that you are telling this story to good naïve people who know nothing about the Prophet Muhammad(Salah ho Alaih wa alayheewasalam) , and these people shall then believe in this easily palatable Wahabi version that you ( have only read) are narrating just because its told by someone like you whom they can easily identify with. Born 1945? I hope God helps you stumble upon the real truth about the Prophet Muhammad (Salah ho Alaih wa alayheewasalam) and is true successors and Inheritors of Islam…and that you even manage to publish it in your lifetime. But I don’t think its going to happen in your upcoming book about the biography of the Prophet Muhammad (Salah ho Alaih wa alayheewasalam). Am sorry you feel that way. The primary references, of course, are the sira of Ibn Ishaq/Ibn Hisham, and the tarikh of the great Islamic historian al-Tabari. The problem is that you wrote a book about the beginning of sunni and shia, but you just used sunni references! You looked at the history just from one side’s point of view! And it is surely not fair. It is not like that you are a outside viewer and researcher. May be it was better if you had tried to use some more references. Of course I cannot say that if you had used shia references as well, the result was totally different, But I think it was at least fair to spend equal time time to hear both sides. 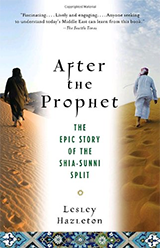 Interestingly, while some Shia critics, like yourself, maintain that ‘After the Prophet’ has a Sunni bias, some Sunni critics maintain that it has a Shia bias. My job was to be as objective as possible while still being readable, and I stand by my research. I agree with Ali, I am really happy you have done all that research. Perhaps you can do a follow up and use Shia references as well. Shia hadiths come directly from the Imams (Family of the prophet) while the Sunni hadiths come from the companions of the prophet. At the time, there wasn’t Sunni / Shia at that time. The hadiths get written by the narrators and then overtime they get classified as weak or strong. That is why if you read both sides of things, you will notice some narrators are controversial, and some hadiths even contradict. That is when you use your knowledge to know what is better research. Shia and Sunni keywords on the hadiths is basically just different classifications of what books they believe are strong. In the farewell sermon which is authentic for both Shia’s and Sunnies, the prophet made his will. And perhaps you can use that starting point from both references. He isn’t calling you a Wahhabi, I believe he is saying the Salafi references you are using are what Wahhabi’s use (Saudi, Jordan, etc). It would make an excellent book for a non Muslim to write about that includes references from Shia’s and Sunni’s hadiths. Once again, thanks for your hard work, time and dedication. Seeker, what exactly are you seeking apart from confusion, just because the Menu does not contain your favourite dish then it becomes WAHHABI, just tell me something, what is the definition and what is Wahhabi and what isn’t. I’d really like to know your idea (as a person who made some researches in Islam history) about the event of Qadir that happened at the end of the Prophet’s Hajj. What was the Prophet’s goal from gathering all Muslims in such situation and speaking with them about Ali? Ali, I’m sorry, but may I suggest that you first read ‘After the Prophet’ and then ask rhetorical questions about it? you are an amazing woman. i could listen to you talk all day. shared this on my facebook page. hope to hear more from you! As it says in the opening verse of the second chapter, “The Heifer”, that the Quran is a perfect book and is meant for those of clean conscience/heart. I think that this is what you portrayed and in doing so, you were able to project the true essence of the Quran. This is God’s mercy to us, that is, to truly find Him, you have to be void of any prejudice. Unfortunately, terrorists and Islamophobes do not have a clean heart. I saw your video today, and had to chime in with another thank you! I look forward to reading your biography of the beloved Prophet. Just wondering if you have read the ones by Martin Lings and Karen Armstrong and what you thought of them? Thank you. 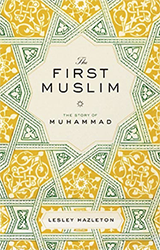 The biography I’m working on (research nearly finished, and actual writing now beginning) focuses on the social, psychological, and political aspects of Muhammad’s life and work — and begins not with the first revelation, but with his birth as an orphan. There have been several excellent books on Jesus as a revolutionary political thinker and a deep believer in social justice, but comparatively little on Muhammad as one. I wanted to know why this man, at this time, in this place? And I now think I may be able to to shed some light on those questions. Big up to you for all your works on throwing water upon burning minds. As you say, your research is nearly finished, and I’m not sure if you included this book http://kitaabun.com/shopping3/product_info.php?products_id=76 in your readings, but i guess in order to grasp all those aspects you mentioned its important to know the person from which those facets stem. This is a classical reading of one of the earliest masterpieces on Prophet Muhammad (S). I hope it all goes well. What an incredibly beautiful and gracious presentation, clearly, the lady is gifted, may Allah guide and bless her Ameen. Your presentation reached the inner depths of my amygdala, activating my tear ducts and sending me on an emotional high. I am looking forward to your book on Prophet Muhammad and hoping it will feature a psychosocial analysis of his character. We read people discussing the video, one said: She’s Pro Islam, another said: No, she’s Anti-Islam. As long-time readers of Ms Hazleton’s work, we are confident that she is neither Pro NOR Anti…. She has always taken an interest in a subject, usually a misunderstood and/or misinterpreted one, and explored it until – with great excitement – she unwraps it, turns it inside out, examines it from every angle she can find, and then puts the result of her inquiry into language and cultural concepts that we can relate to….besides being ruthlessly honest….and exemplifying the qualities that for her remain ” ‘forever England’ – honesty of detail, honesty of perception, and above all, honesty to oneself.” [which is how she ended her Prologue to the poetically beautiful 1980 book on the Sinai – WHERE MOUNTAINS ROAR]. Thank you for your eloquence,objectivity and noble effort to understand Quran in times of great discord. I sincerely hope you write a book about your understanding of Quran. Muslims defintely need fresh and scholarly analysis of Islam , especially Quran . @ Not Buying: — I am very impressed by your readings of various facets/sources of islam to understand its current form/state. Hadiths written 3 centuries after the prophet portray this literal interpretation of hell and heaven which is ironically more in sync with the bible than the Quran. I like to believe your understanding of heaven and hell as allegorical. This makes the idea of religion makes more sense. I also like to believe that God, heaven and hell are not exactely like we imagine from cartoons where angels have wings and heaven is enclosed by Golden gates. I strongly believe in John Locke’s philosophy on how man’s understanding and knowledge is limited to his senses (after having to start off from scratch about my religious beliefs and my idea of truth, my reason has confirmed to me that there is a God at this point). Therefore imagined GOD himself communicating to man; it’s almost like a professor teaching a foetus advanced physics. God then would obviously put things into terms we could understand. So when God describes himself as light powered by an olive tree etc… in the Quraan, my understanding of things in the Quraan became easier to fathom. But the only part on which I’m stuck rightnow is the understanding of justice in the quraan. The punishment of adulturers, thieves, how men should treat their wives, etc… I can’t seem to find the right ressources that would provide me more facts and more accurate translations. As i understand it, the punishments are there as deterrants. It helps to look at the biography of the Prophet Muhammad to see how these were applied. For example, only 2 adulterers were punished, both because they asked for the punishment to be meted out, even though the Prophet turned away from them repeatedly. The option is always there for the sinner to repent, and there is no “vigilantism” in Islam. Words, especially, Quranic Arabic words, do not have a singular meanings — nor is the Qur’an in a single, flat voice. It is in many voices. In fact, it constructs a ‘world’ similar to how a the script for a dramatic play would create a world. Yet if one were to read the script with a flat eye and ear, sensing no nuance nor metaphors, they would find no sense or spirit there. Indeed, they may wholly misread the meaning. For instance, if one misses sarcasm or irony, they might take it literally. The Qur’an does say that “Allah sets forth parables” [24:35]. And so, we need not fear when boldly examining the Qur’an and asking ourselves what the metaphor may indeed allude to. Further, it may be so that within various contexts, and to different people, a single metaphor means different things. That has to be a true if a book with finite pages and words is ‘universal’ in any sense at all. Ms.Hazleton I have read you are in the process of writing a book on prophet Muhammad and will be getting references from Tabari’s work as well. I came across website ourbeacon.com by Dr. Shabir Ahmed . He has done extensive reasearch on Islam’s history,role of Imams in shaping modern day Islam and it’s religious rituals by hadidths and rawayats.He has several misgivings about Imam Tabari’s work. food for thought for your scholarly mind. This is an outstanding speech. I come from a religious background but believe in humanity more than anything else. I look forward to reading your books. I too am inquisitive of all the faiths and schools of thought and i do wonder how you keep your sanity intact among all the crap that people sometimes throw at you because of it. I hope this is part one from series of talks about Quran. I think it is beautiful that you took three months out of your life to closely read and study another religion. I would love to do the same and learn about other religions so that such sacred religions which hold values and believes that have given hope, love, understanding of the world, imagination of the future, understanding to life, death, behavior, actions, and history to the believers across decades of generations continue to be respected, not necessarily accepted. 3 decades ago, Lesley wished to become the mayor of Jerusalem. I still vote in favor. I was a student in the Academy of Art and Design; she was already a known writer. We were friends in Jerusalem, fascinated with east Jerusalem and neighboring villages, exploring the old city, meeting Muslims perhaps for the first time in our lives. We had a few years in which both people realized there is a way to coexist. Both sides were curious and hospitable. There was friendship. I was twenty something, knew nothing about Islam, so I decided to design a Mosque. I went to the Wakf in the old city and was welcomed. They showed me El Aksa mosque, explained a few principles and rituals, and I got their idea of a sacred place. Stranger in a strange land…as Lesley says, a tourist… sketching plans and sections. I designed a mosque on a lake (literally, chose a lot of land in east Jerusalem, to be dug and filled with water). There was a bridge from the secular towards the holy, a purification place and a shy entrance hiding the inner court and spaces, unique indoor domed areas…unseen from the outer realm. I did it with care, crafting each corner, each bench in the courtyard…a hidden garden…I cared for the people, I drew each figure, they were meditating, engaging in peaceful thoughtful activities…. Two years later, they were preaching hate and calling for war in El Aksa, and I was on the Temple Mount again with a camera, photographing the Israeli army bursting into the grounds, hitting the prayers. I was shocked to see our vision collapse. The bloody pictures were rejected by the newspaper. Too realistic. I left to England to continue my studies, Lesley left to the States. The right wing hooligans from both sides prevailed. Most of us gave up eventually, but we tried and we did as much as we — a non violent group — could. A slight clarification, Varda: playing with the idea of being mayor of Jerusalem was connected of course to Yehuda Amichai’s famous poem that starts: “It’s sad to be the mayor of Jerusalem. / It’s terrible./ How can any man /Be the mayor of a city like that?” Or any woman. It was a consoling daydream for me at that time — a fantasy about turning the city into an independent city-state for both Palestinians and Israelis. As you imply, more of a pipedream now. I truly admire your thoughts and feelings that are based upon nothing but a spirit of peace and love. I do believe that it is not religion that has made things worse but it is misuse of religion by the malecious powers for their specific agendas that may be economic, political, customery or else. If there are no human beings, there would be nothing to rely upon or do with. A human’s life is much much more important than any ideaology………………. Great talk, thoroughly enjoyed every minute of it and as a native arabic speaker I could not have experessed the “uniqueness” of the Arabic script of the quraan better than you did. Miss Lesley, Greetings of peace. I was left like many of your other readers wanting for more. I think it was a truly admirable undertaking on your part to read the Quran in its entirety, something some of our Muslim brothers and sisters cannot boast to have done. Sure they read the Arabic but the true meaning of the Quran is not truly delved in. God wanted Muslims to have a curious mind and to travel the world to gain knowledge, instead they only traveled as far as their nearest mosque to gain the knowledge from another untravelled un-opened mind. Quran is not for Muslims alone and so I do not doubt that you as an agnostic Jew could have found the meanings in its subtleties. Kudos to you maam. If you like I could tell you of one sect in Islam that have a very similar (enlightened) understanding of Quran. A sect that had declared Jihad of the sword was no longer necessary or an option some 120 years ago. For more information and an excellent translation of the Quran see alislam.org. Very nice to hear this. I want to listen more of it so that many other misconceptions are cleared. I appreciate your hardwork and curiosity in search of truth. May God guide us all. I enjoyed this and I can see you writting a book about the Koraan next. I’ll be looking forward to that. I have studied Islam in a madrassa and have a PhD from NELC from Chicago–so I qualify as an Orientalist! For a number of years I have been working on ways to engage students with the Quran. Often people talk without reading; read with hearing–their noise seems to drown out much that is useful. Please take a look at http://iftikharzaman.webs.com. Relevant to you would only be the material accessible from the “2 Quran 1” session on the left navigation tab. You will note that I came to the same conclusion you did: read multiple translations. check this out. not being preachy but it talks about why the quran’s miracle can only truly been seen in arabic. A good understanding of Islam. There are no 72 Virgin in paradise – as Michael Moore quoted Jesus in his book ‘Where is my country dude’: “There is only one virgin in paradise and she is my mother Mary. Try to touch her and (as Lord of Christians) I will kill you”. Military Jihad in Islam only become lagal when all peaceful negotiations fail with an enemy. Even then, if Muslims are attacked – they’re only allowed to kill the combatant enemy – not the women, children or elderly people. The POWs are allowed but freeing them without compensation – is a great charity according to Holy Qur’an. One of the bogus lies about Islam is the so-called “Radical Muslim”. Since that means following the traditions of the Prophet Muhammad (pbuh) – I am proud to be a ‘radical Muslim’. This is one of the most dangerous and tragic lines in the Quran. It is so because what constitutes an attack is “in the eye of the beholder’. Thus it is easy for a zealous Muslim to claim divine sanction for attacking an unbeliever if he, is first ‘attacked’ by the Unbeliever asserting that Allah does not exist or that Mohamed was rather less than perfect. It’s funny how your mind managed to get there. Plus if you look at arabic linguistics you will see then that the form of attack being spoken of can only apply to violent physical ones. English and Arabic are different if you haven’t listened 2 the entire video. Howard Thomas – Looking through your eyes what foreign Jews and Christians are doing in Palestine, Iraq, Afghanistan, Chechnya and Philippines – is quite kosher according to the Bible and Talmud, therefore, Muslims should not be fighting the foreign intruders, right!! Thank for understanding divine message in Qur’an vs BibleTalmud. Excellent talk but I did feel that you were mocking the virginity of Mary at the end. As I wrote in my ‘flesh-and-blood’ biography of Mary, the literal focus on the intact hymen seems to me a sad diminution of the original, metaphorical idea of virginity. Think ‘virgin forest’, for example — teeming with life and fecundity. That, I think, is what would have made Mary smile. I am glad Smith raised this issue. As enthused as I am overall, this did mar the talk, as the Qur’an explicitly proclaims the literal chastity of Mary, a paragon of virtues to be admired and emulated by believing man and woman alike. Excellent. And glowing feedback from Muslim family and friends. A big hit. I guess it’s not cool for me to comment again, but seeing that you respond sometimes I just wanted to take a hit and see if you would reply. I’ve been going through a phase with my faith. I’m starting from scratch. I believe that faith is only rational when that which one is faithful too is based on proof or some sort of evidence. So I’m re-studying Islam, without my parents teaching me or any one for that matter who does not use evidence to back up their opinions. I’ve found many reasons for me to stay a muslim (since one should never blindly follow any religion and I should be no exception). However I’m currently conducting a study about justice in Islam in terms of Fiqh. Nora — I’m afraid you assume that I know far more than I do. True, I do see Muhammad’s life as devoted to the idea of what we now call social justice. In fact I think every religion arises out of that impulse (and alas, all too often, loses touch with it as time goes on). But as a writer, my quest is not to establish universal principles, but simply (though of course it is far from a simple task) to see Muhammad as he was, in the seventh century. As an agnostic, I approach the Quran as I do other holy books — with as fresh an eye as I am capable of, considering it within the framework of its time and place. As you say, you prefer inquiry over belief. The beautiful thing I notice from my reading of the Qur’an is that it forces you to inquire, and if you don’t it asks you plenty of questions to think about, without often giving you a follow-up answer “Were they created of nothing? Or are they themselves the creators? Or did they create the heavens and the earth? Nay, but they have no assurance” (Interpretation of the meaning Ch.52-V:35-36). Faith is often born of doubt. *Whew* Oh boy. It’s not every morning that I wake up and an agnostic Jew moves me to tears. I’m very moved. Thank you for approaching this topic with such an open mind and heart. The comment that the Qur’an is flexible in minds that are not fundamentally inflexible is a classic. I will remember that one. Much peace and love; may God guide you and me. Absolutely loved it! A message that surely should be passed over and over, I have shared it on my facebook. Thank you for putting it all so well!!!! Beautiful talk from beginning to end. You did an excellent job of describing why Muslims love the Quran and its special appeal, its cadence and rhythm. It was exciting also to hear someone speak so richly about the Qur’an because that is the way in which it speaks to you, in melody, meter and rhyme and with carefully chosen words, metaphors and allegories. I hope you continue your explorations and inspire others to open their eyes, ears and minds to think deeply and to ponder the universe, creation and the little and big questions of life. To the naysayers and hair splitters, should we really even spend another moment arguing about what might happen to us in a mysterious alternate life when we could spend that energy ensuring that we enjoin good and forbid wrongdoing right here and now? God is just telling us that belief is central to any action, good to bad, it all begins from a belief about something, someone, somewhere. Thank you for your well said words. They are like the springs in the garden, satisfying the thirst of many for clarity, truth and assurance. Absolutely awesome,” Heavenly Breeze ” A single women standing against whole worlds media. What a miracle. God must be proud of you Lesley Hazleton. I would dearly like to know why the first part of my message was ‘moderated’ unless I haven’t heard and ‘Kolb’s Learning Cycle’ has become a hated word! but am not much the wiser. It seems self-evident to me, and needlessly schematic. The Quran is au courant as a 1400-year-old book can be. The final cycle of learning is experimentation with what you have learnt. Surely the purpose of finding water is to quench one’s thirst? Read ‘After the Prophet a few months ago and enjoyed it greatly. You certainly give the feeling immediacy, being ‘there and now’. Saw the above lecture this morning and was pleased to have a face and voice to connect to the writing as well. Well done – I like your style. I live and work in Arish – where you were the year you said you were in Sinai to which you referred in the talk. I just wanted to my add my 2c and compliment you on this video, it was excellent, and you deserve much credit for taking the steps that very few do take… which is to read the Qur’an in its entirety. Wonderful presentation. Thank you for clear and light presentation. You are GRACE trapped in the body of a woman!!! My lady, you are brilliant!!! Hi, I’ve just heard your talk and I wanted to thank you and congratulate you. It was deep and at the same time light and – as you rightly remark – much needed in times of growing fundamentalism from all sides. I’ve seen it because a friend of mine, a well know protestant feminist theologician, put it on her fb, commenting that it is a pity that she doesn’t catch everything, English not being her mother tongue. Is there by chance a transcript of the talk somewhere? You do speak clearly, still it would be a help for people speaking other languages than English. and the video is now also up at http://www.ted.com where translations into more languages will soon be available. Wow! Thank you so much for your swift reply and especially for the transcript! My friend will be happy! I watched your video on Youtube, I am a moderate committed Muslim and I wanted to thank you for pointing out what I believe is the heart of the problem, Islam is misunderstood. Unfortunately for us it is misunderstood not just from non Muslims but even more with many Muslims. I believe that your point of taking one verse and blowing it out of proportion is equally true with Muslims as it is with anti Muslims to fit their own beliefs that ultimately cater to their self centered interpretations. Distinguishing Quran from other books written by Humans is key as you said to understanding it. I really appreciate and respect your permanent inquiry, in the manner of Voltaire who wrote “Doubt is not a pleasant condition, but certainty is an absurd one”, which is the best illustration (in my view at least) of the spirit of enlightenment. In that spirit, I would like to ask your kind self about the authorities you will be referring to in writing the biography of the Prophet and whether you considered any Sufi authorities -which are (mostly) not yet translated into European languages? “There is No God but Allah” Music for Meditation by Mostafa Moftah. by Werner Herzog in 1970. Many thanks for your splendid work. I’d be really grateful if you could kindly check the email I sent you. Now i can stop crying, and thanks to you.. In my careful analysis of the quran, I came across an arabic word that describes for me, really the esssence of the quran that is so often dismissed by those who want to see only the “light” of the quran and dismiss the “darkness”. I’m talking of “nashk” or abrogation. Abrogation suggests that early recitations by the Prophet are abrogated by the latter. Since the quran was not compiled in order of recitation but rather length, Nashk is often left to the interpretation of “scholars” or would be scholars like Osama Bin laden. The most often quoted sura of fundamentalists and anti-islamists is the so-called verse of the sword,(9:5) which engenders violence in the here and now on disbelievers. If nashk is considered here, we will see that the tolerance advocated in the early meccan suras are abrogated by the latter medinan suras like 9:5. While i applaud miss hazeltons attempt to only see the good in the Quran (a worthwhile endeavor when trying to convince people to leave judgement to God), I think the fundamentalists of Islam see the quran for the way it truly is: a means to separate the ‘righteous” from the chaff. In other words, mere belief that Muhammed was a Prophet, and that his words are God’s will merit you paradise, while unbelief merits death here and now because one is already in “hell” without Allah. that’s a highly innacurate understanding of abrogation. If we want to see light in the Qur’an, we will see it. If we believe it is full of darkness, we will stumble though it blindly. Our media culture has been broadcasting fear and ignorance for ten years’; I for one, believe 1.2 billion people are not easily fooled, they must be receiving something deeply spiritual from this Holy Book. It’s time for us to see beauty in Islam . . .Ms. Hazleton helped us achieve this in spades. of the 1.2 billion people, many were born into it, and according to the sunnah which 80% of the worlds muslims adhere to, leaving islam merits death. Its not that they are easily fooled but they are led to believ that leaving islam will merit them death and/or eternal damnation. thats coercion. Please study the history of Indonesia. Islam continues to grow around the world. Are new believers in the message of the Qur’an ‘coerced?” I think not. Doesn’t the same message of eternal damnation redound from Christian pulpits? Will you condemn Christians, too? BTW – TJ, how many Muslims have you befriended? The best way to learn about the Qur’an and the Muslim world is to know the people who follow it. This is my suggested way of overcoming your irrational fear. Islamic culture is vital to world history, having made deep contributions to art, science and religious thought. Try as you might, this can’t be wished away. You are focused on the most fundamenaltistic aspect of the Muslim world and this is not fair to the vast body of people who see the wonderment of Islam contained in its Holy Book. That is the point of this thread: understanding, not fear, not negation. This is a place where people embrace people, TJ. Try it, fear is boring, It repeats its own cramped arguments over and over and make enemies of otherwise harmless people. Put down your fear and become human. Many people are coerced in christianity as well since eternal damnation is often referred to in the new testamentnt and by various preachers. It is a feature of both religions”believe or you will go to hell” it is fear based. the distinction here is that the quran talks of the right for muslims to Kill non believers. numerous times as in the hadith , particularly al baukari. Are you aware of the hadith where a female poet with 5 children had a sword thrust through her chest by a “pious” muslim volunteer because muhammed was insulted by her words? or how about the poet Ashraf or how about sura 9:5? Believe me I was one of those many people brought up in islam but because i had associations with christians, i found similarities(hellfire allusions) and distinctions”love your enemies and do good to those who harm you” rather than kill the unbelievers wherevere you find them, or “do not take christians and jews as friends” etc adnauseum. I think you SB, need a fresh dose of the reality of the quran and sunnah and particularly the reality of muhammed and his totalitarian manner of running others lives, not to mention , his disgusting perversities. Jesus does not compare. he invites people and for those who ridicule or persecutes him, he forgives them every time.”for they know not what they do” if muhammed is the prime example , then you should follow him in all he does and says. are you willing to do that? I’m not. thats perverse. In islam, violence and death are warranted , in christianity they are not. if you want to ignore the evil in the quran, thats your choice. i i know many muslims who are ignorant of these eveil things and choose to follow the pillars and i applaud them, but i wont deny the evil that is there. denying those realities is what is not human. TJ, While there may be people who misconstrue their own religion, this does not invalidate the actual intended Teachings. God has left no one out; but human beings tend to corrupt religion when left to themselves. I need no fresh dose of prejudice; I am awakened and I will not hate, nor will I fear. My expereince of Muslims is caring and spiritual; that is what I sought, that is what I found. I am done with hatred and believe that if religion divides people, it is not religion at all . . . Therefore, I quit this argument, and leave you to your unhappy messages; I doubt you have understood Islam, but are instead filtering policized Islam, which is not Islam at all. Each to their own belief. There can be no coercion in true religion. you mean , there is no “compulsion’ in religion. a true statement except it was abrogated by latter revelations when Muhammed, the man of the hour, decided to go against that edict by killing unbelievers. the crux of your religion is the man muhammed who was perverse in deed. if he were not essential in your religion he would not mentioned in the Shahada. to be lieve in Allah and to submit yourself to his will, you must submit to the edicts of muhammed and recognize his words. My problem is not with muslims , its with islam in the person of muhammed. i try to help muslim understand that you cannot submit to the will of allah without muhammed and that his example is full of evil, with jesus it isnt so. there are no writings that show an evil side to jesus. the messenger in any religion is paramount. the root word of ignorance is ignore and you are ignoring the evil that is inherent in the “prophet ‘ of islam. To study about a country’s religion will not tell you much about the people. since all religions have gone thru a feudal time, like the Crusades or the current terrorist period the Islamic world is going thru. My point is all religions profess love. and all religions have killed for a supposed Godly cause. Still seeking for God is an honorable thing. as long as its an inside job. Jesus didn’t follow himself so obviously he wasnt a christian. the term christian came about much later as a sect of judaism. Once they were thrown out of the temple they formulated their own form of worship incorporating the liturgy of the Eucharist with the jewsish liturgy of the Word. The government, not the people. They are simply the “followers.” You will know the government. “Religion” only professes love as long as you believe in them. Otherwise, you are meant with judgment, bigotry, hate, war and sometimes emotional or physical torture and death. To the best of my very extensive research based on historical books and religious books indicates that Christianity as a religion as we know it today began in the year 325 with Constantine, as a military ploy to unite the huge Roman Empire that had been and was a constant and large drain of money and men to keep its various districts united. It turned out to be a very successful ploy. It was called the First Ecumenical Council or the Council of Nicea, where the various representatives signed the first Creed. Since Constantine had fed them, gave them copious amounts of alcohol, and had a huge army standing by, only a few refused who were then exiled or killed. Those that signed received a large sum of money and were allowed to supervise their district as a representative of God. It was very successful. It would be later Ecumenical Councils that would find Mary to have a virgin birth, ascension, assumption, etc. The last Ecumenical Council was held in the 1960’s. You read the quran in 3 months when it took 20 or so years to be revealed to the Arabs. Did you ever get into reading about Quranic literary characteristics?